You could buy at today's price if your fortunate enough, give it til after Christmas you'll probably get the new list price if it remains stickered and unworn. Only if you've got a spare 25k!! If Andy doesn't take you up on that then I'd be happy to. Mappin and Webb, Fenchurch Street just now. They have waiting list for everything else that is SS and not in the window. Will be very interesting to see if that changes tomorrow. Just today I saw some brown brogues in a shop window with 95% off,I decided not to buy them because I just know a pair of lightly worn ones will be for sale on here soon. 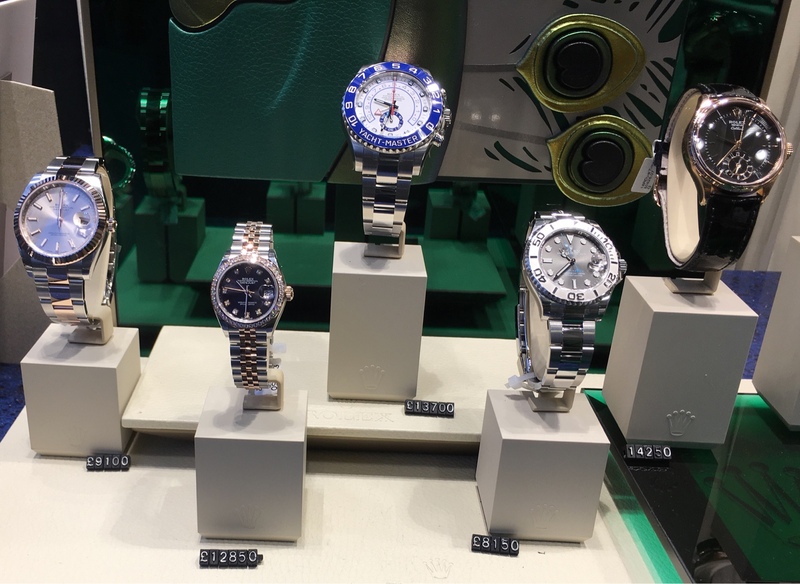 Is there another thread for 'non-Rolex spotted in the window' ? I spotted a zenith big date pilot on shark mesh for £3800 down from £5300 today, maybe somebody is after one? 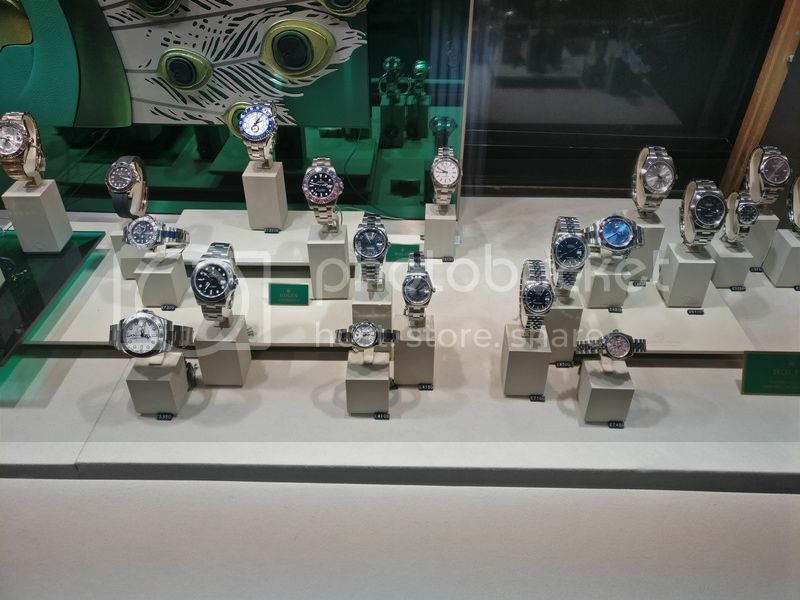 Goldsmiths Reading had just 5 sports watches in the window yesterday.....wonder why? I know that there have been a few WTBs for the Deepsea Deep Blue. I saw this today, not Haywood's stores. If they still have it at that price after the increases might be a bit of a bargain for someone. 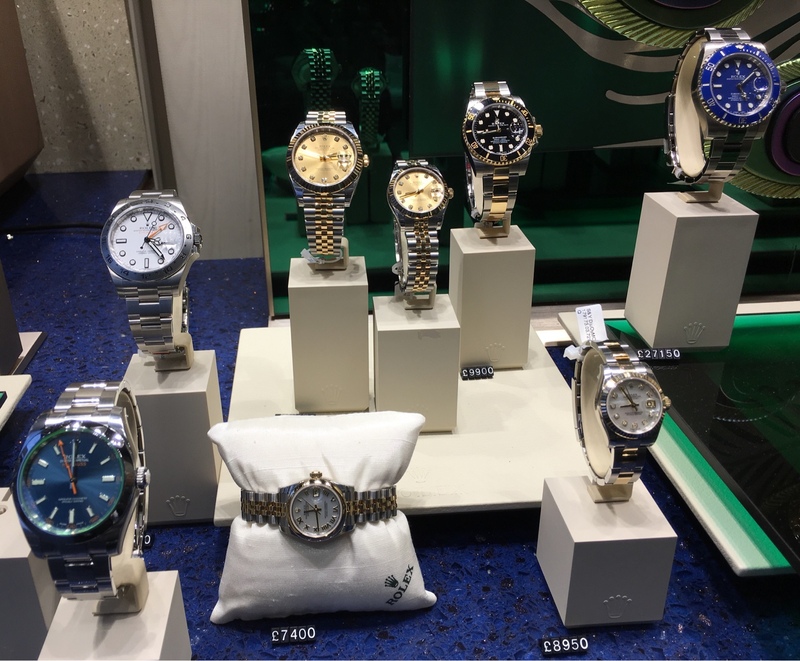 Mappin and Webb Fenchurch street had a Ceramic GMT available as of 3:30 this afternoon. "Lesser spotted Jay, in Burnside Lane - showing well"
Of course they pretended they had nothing interesting when I went there the day before the price raise. Now miraculously the good pieces appeared. 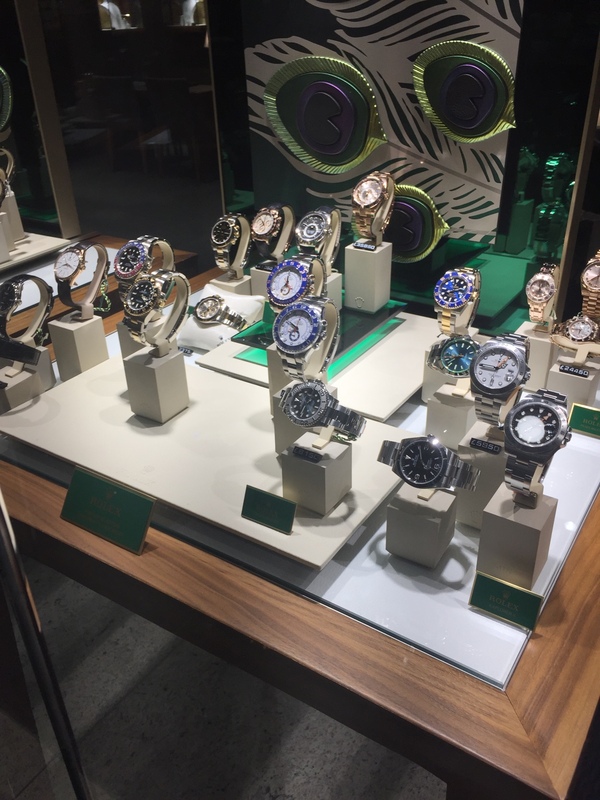 Goldsmiths on oxford street had two black bay bronze in the window if anyone is after one. Almost though this is touch more creepy and sad as these are mass produced watches and not rare birds. Oh and they have a GMTc Pepsi in case anyone wants to see one in the flesh. 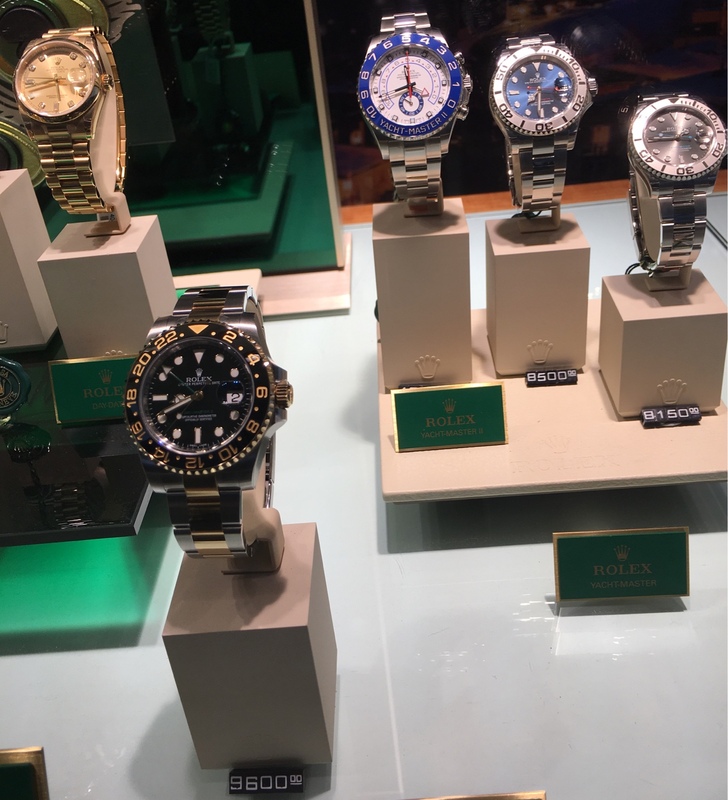 Passed my most easily accessible Rolex AD today (3 hours away!) in Aberdeen. Took a couple of quick snaps of the window display. Looked like someone was in buying a gold Rolex. Hope they got a healthy discount! So wish I'd of picked up the YMII for 11k last month think it's needed a go in my collection but not now at nearly 14k ouch that's PP money! Laings, Edinburgh, SDc4000, window, last night - Go! It does have a very low ugly-to-price quotient! If still available (they appear to be) these two seem good value. A fully stickered up LV at £5,500. And a stickered up white dial 116520 Daytona for £8,000. Unrelated but interestingly, they had all the PP display fittings but no PP watches at all in the window! Not sure whether this was because it was 30 mins before closing time or some other short term security issue but was weird as all the other displays were as normal. Am always surprised that Southampton has a PP AD. WB's in Norwich this morning had black and white ExpII's, an ND sub and an LN GMT. How does it work with pre orders, do you pay the price of the watch or the day you pre order or the day you receive it? 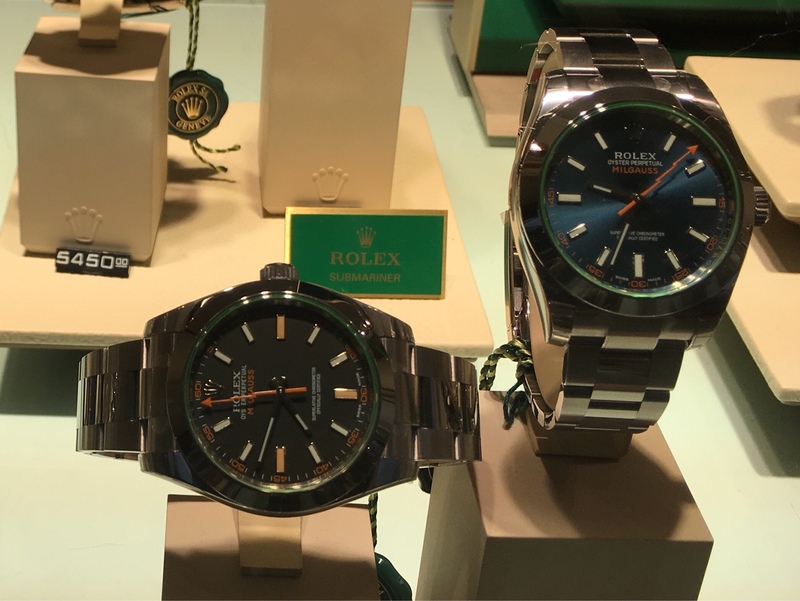 Goldsmiths Newcastle (Eldon Square) have a ND sub, black and white Explorer II, a rhodium dialled new yachtmaster (looked midsize) and either a DSSD OR a SD4000 (didn't get a proper look). What do you mean by preorder? If you are referring to a wait list or a wait for an allocation piece you have a deposit on then yes typically you pay the price when it lands. But if the preorder is say a special piece like a PM model or something not always held in stock and the AD and has to requested directly from Rolex UK stock or from another branch then the price you would pay would be the price on confirming the order, some AD's may try it on but from my recent enquiries into a DD40 I was told the price I pay is the price it is on the day I confirm the order. They have a DSSD and a GMT LN. Yea that's what I thought, was thinking about putting my name down for a new Daytona if you payed the price on the day you ordered it, then selling it for a nice profit when it arrived a few years later. Last edited by awright101; 18th November 2016 at 13:50. 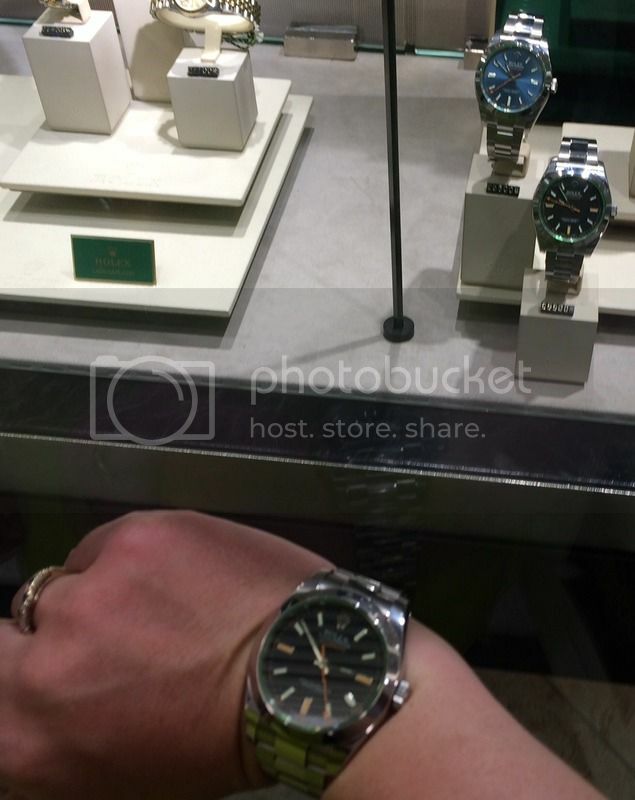 Mrs took this photo in London the other day - plenty of Milgauss' available. 114060 available in T4 £4650 or something like that surprised it was there! White dial ceramic Daytona at Hug Japan in Chiang Mai, Thailand. Pre owned but mint although Japanese grey warranty. £8.8k. They also have the non ceramic white dial at £6.8k. You will need to be in Thailand to avail, I'm not able to assist in these as my bank is getting funny about the large volume of inbound transfers. I was just thinking that that YM at the front was under-priced and then realised it's the 37mm version. Doh. 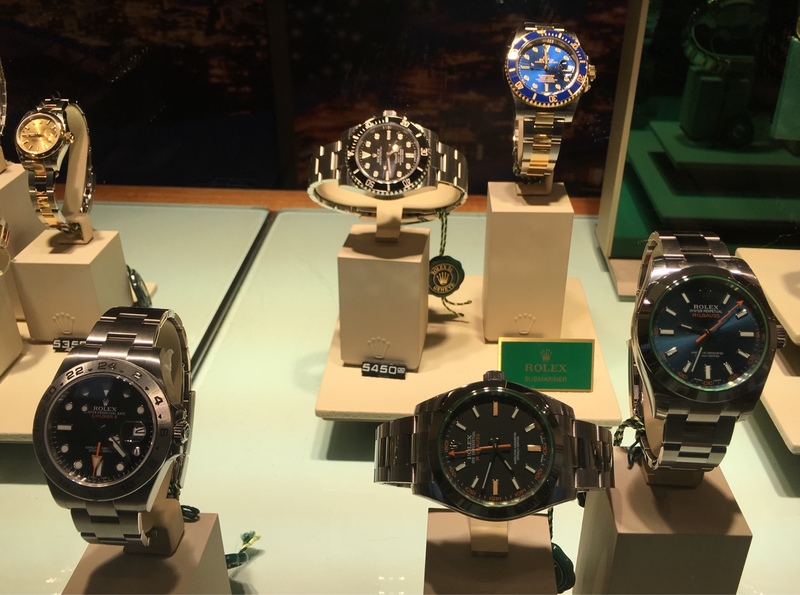 Sub ND, deepsea and explorer in the window of David Robinson in Liverpool. Sub ND and seadweller in goldsmiths too. Last edited by Middo; 19th November 2016 at 15:21.
haha ur right just didn't wanna carry it around the whole time during holidays and potential "conversations" back when i'm coming back even tho i read the whole "it's a discount not a vat " thing but i think it doesn't apply to rolex? not sure wasn't worth the hassle for me. Yes, nothing particularly rare available in Liverpool but, just to add for information purposes, BLNR waiting list in Goldsmiths is apparently 6-9 months. DMR waiting list is still firmly closed. The more interesting part of the display at DM Robinson (Altrincham). I was tempted to go in and ask whether they let you keep the hang tags?! They seem very common in the window everywhere that I have looked. Last edited by andrewcregan; 21st November 2016 at 18:22.